In December I had the great pleasure of visiting the Asian Art Museum in San Francisco (http://www.asianart.org) for a special exhibit of Korean clothing. Couture Korea (http://www.asianart.org/exhibitions/couture-korea) was curated by Han, Hyonjeong Kim, Associate Curator of Korean Art at the Museum in collaboration with the Arumjigi Culture Keepers Foundation in Korea (http://www.arumjigi.org/eng/introduce/intro.php). 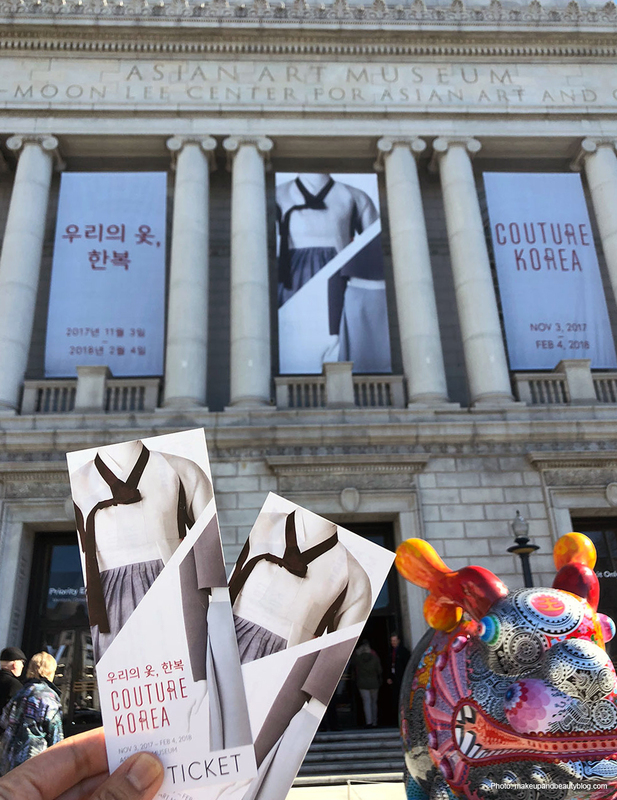 Running from November 3, 2017 to February 4, 2018, the exhibition was the first to be held at a major U.S. museum focusing on Korean fashion. 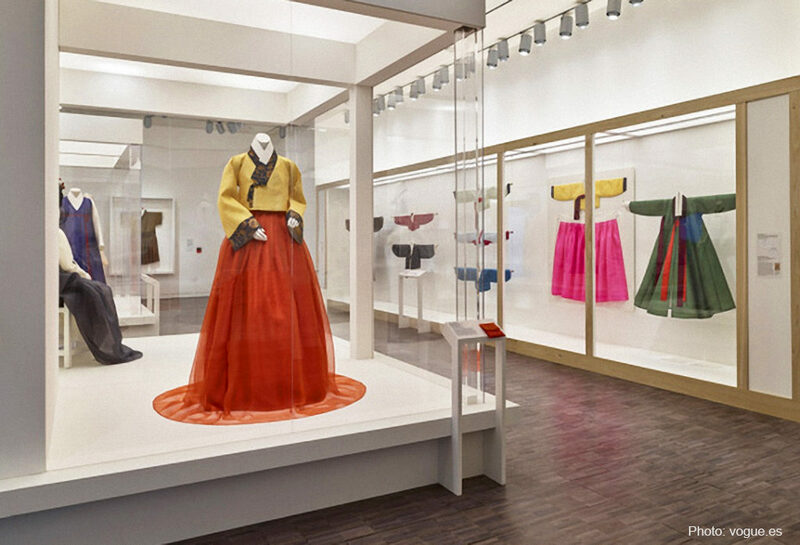 Traditional clothing of the Korean upper (Yangban) class and contemporary clothing by several prominent fashion designers were featured. The exhibit catalog, Couture Korea, edited by Dr. Han, contains striking photographs and a fascinating discussion of the intentions of the show. 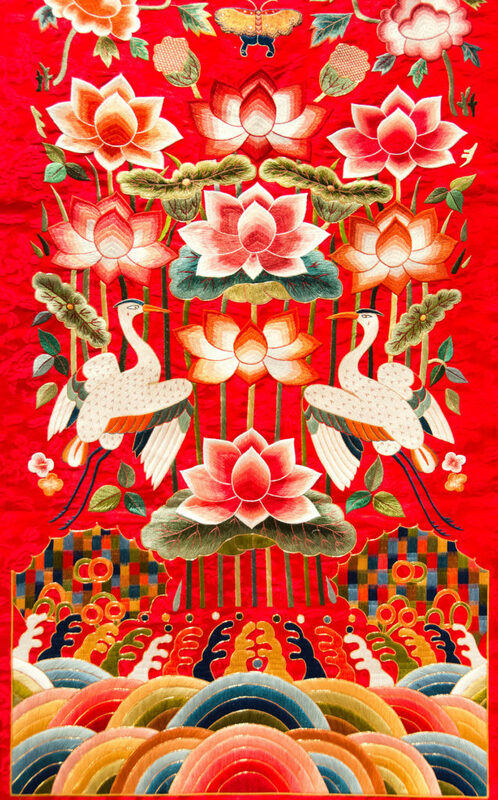 As I wandered through the exhibit I was struck by (among many other things) a bright red traditional hwarot or bridal robe, exquisitely embroidered with peonies and other auspicious symbols. When I looked at the label on the piece, I was excited to see that it had been made by Han, Sang-soo, Intangible Cultural Asset No. 80 (“living treasure for the craft of embroidery”.) But I was also greatly saddened to learn that she had died in 2016. Debbi and I met Sang-soo a number of years ago at her studio in Seoul. What a gracious, warm welcome she gave us! 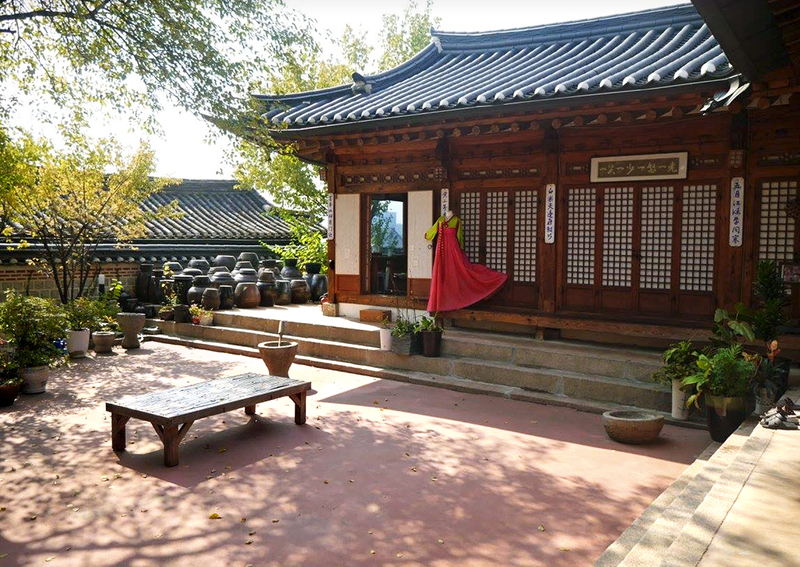 We had stumbled upon her Museum and workshop, located in a traditional home (a hanok, complete with a yard full of onggi pots) in the Bukchon area of Seoul. This area is where many fine handicraft artisans now live and work, just as they did during the Joseon Dynasty. The museum was established by Sang-soo in 2006 to help preserve a very important aspect of Korean culture. 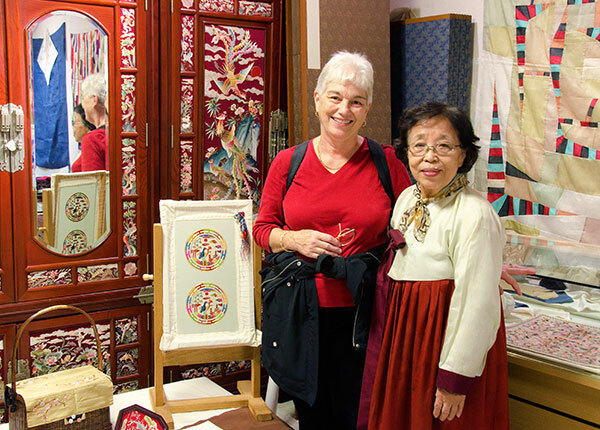 Jasu, or embroidery, is a highly valued art form in Korea with an ancient history, and the museum showcases 60 years worth of Sang-soo’s work, including garments, screens, bojagi (wrapping cloths), and even furniture. Luckily for us, she was there that day and eagerly asked us in, showing us her beautiful pieces and even inviting us to join her for a meal. 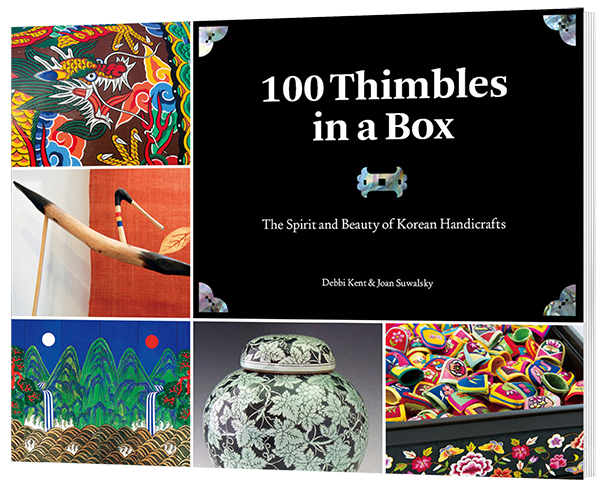 We feature Sang-soo in 100 Thimbles in a Box on pp. 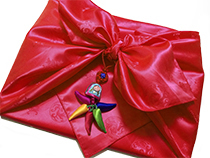 64-65, where we describe the long tradition of superb embroidery in Korea. 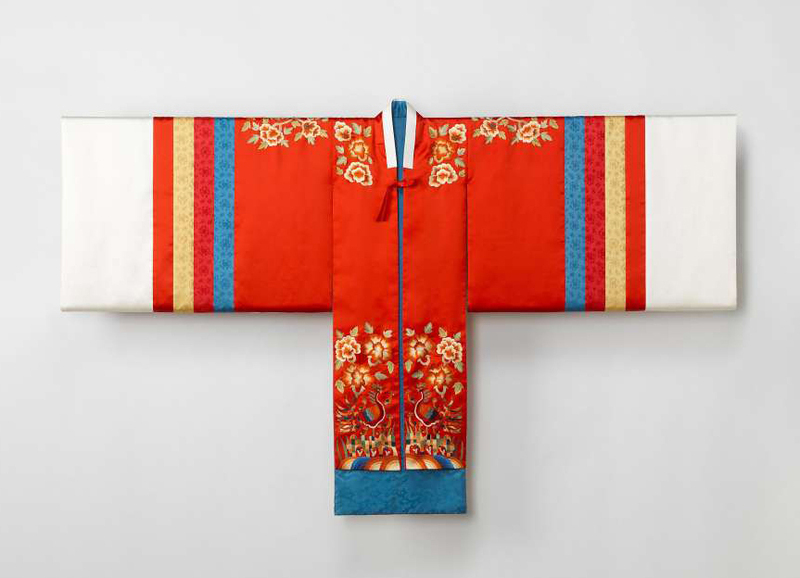 The gorgeous bridal robe that I saw in San Francisco in December is now a permanent piece of the Asian Art Museum’s Korean collection. 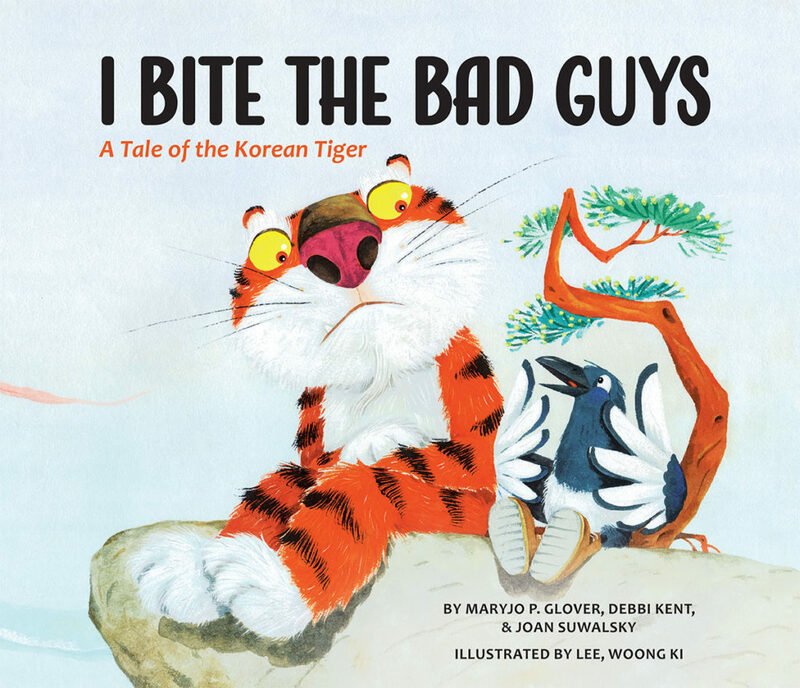 Look for it the next time you are there! It is truly spectacular! !